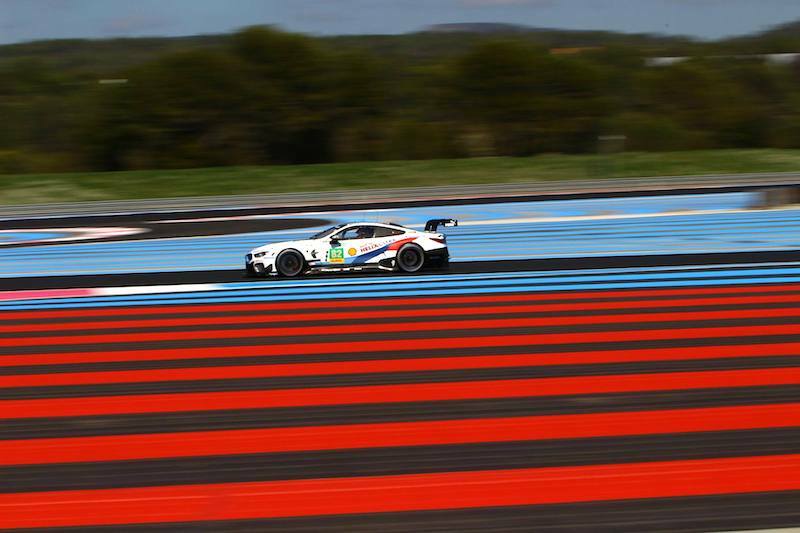 The final part of the race saw Audi in the lead and provisionally in the lead of the championship battle. 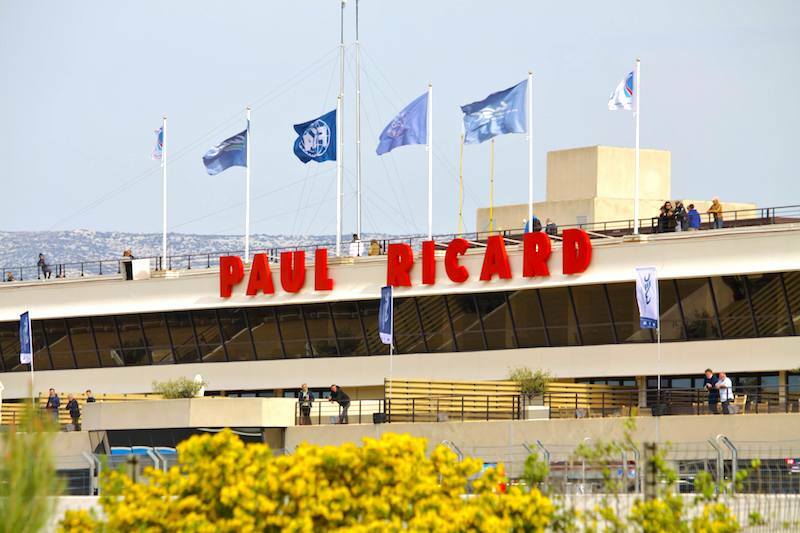 Although, if the the first three hours of the race are anything to go by, there is a lot left to happen before the champions are crowned, we take you to the checkered flag of the 2015 FIA World Endurance Championship. 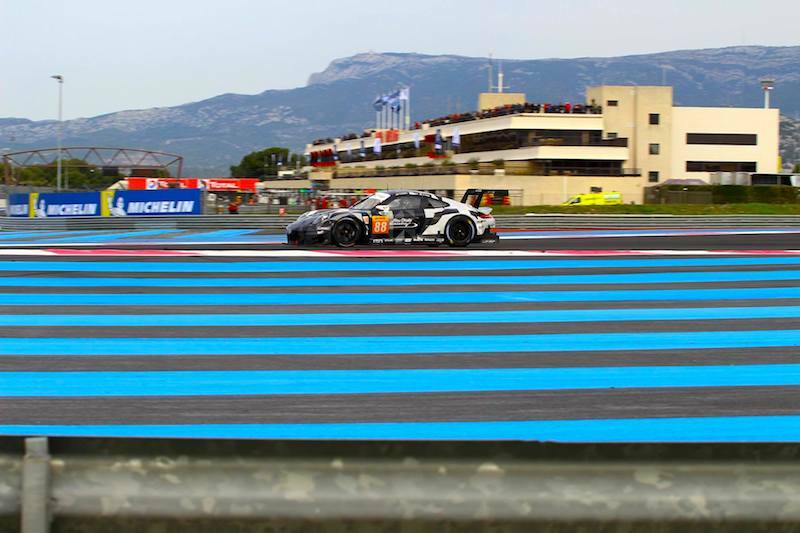 Audi began the hour with the #7 of Benoit Treluyer leading, but in a fierce battle for the lead, and ultimately the title with Marc Lieb aboard the ‘#18 Porsche. 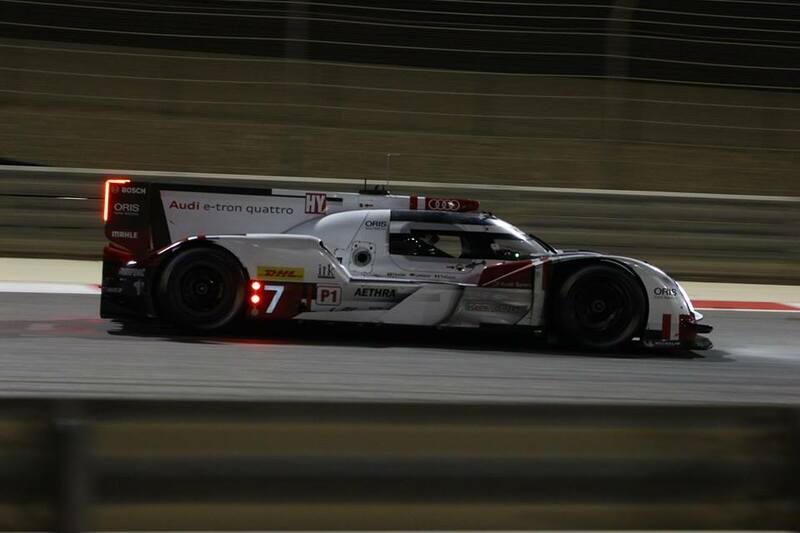 Although the #17 car was the one in with a shout of the title, in 5th place with two and a half hours to go it must finish 4th if the #7 Audi wins to win the championship. Meaning if Audi win the battle to win the race, Porsche would be forced to stop the #18 in order for the #17 to win the title. 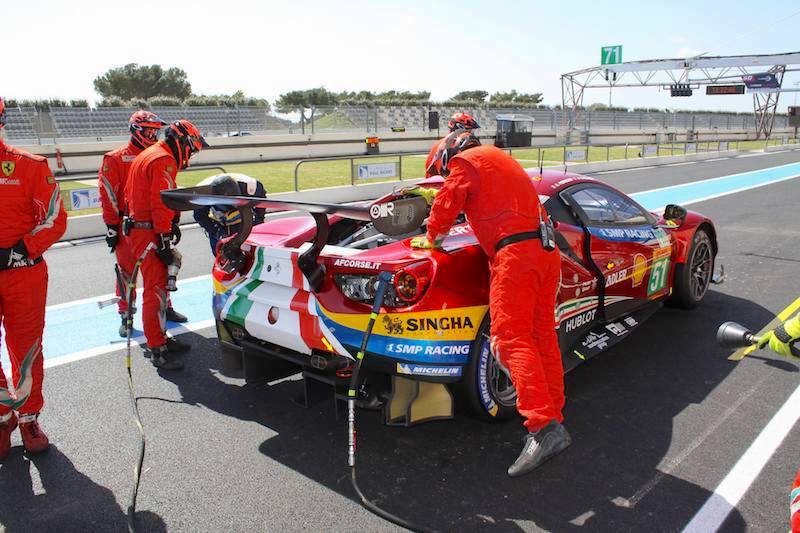 In the mean time, drama stuck in the GTE-PRO catagory, as the front left wheel fell off the #71 Ferrari. 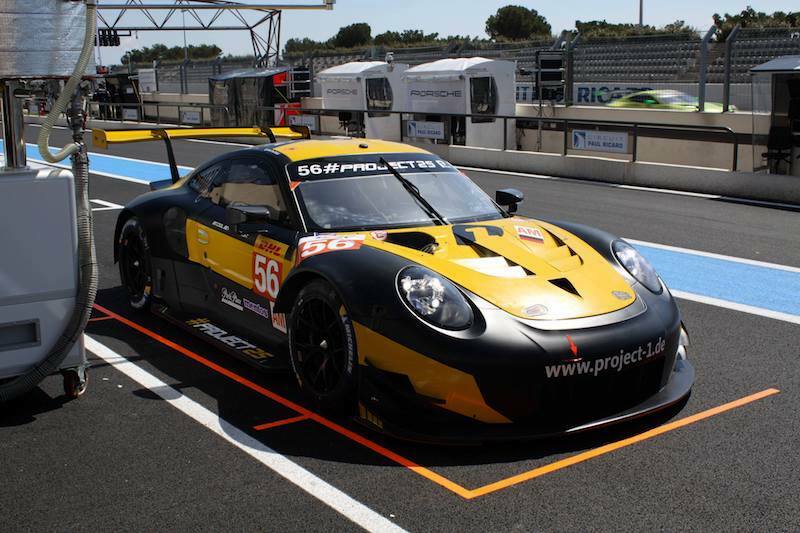 This promoted the sister #51 car up to second place. With Bruni behind the wheel of the Ferrari 458 in it’s final WEC race, he was left with the challenge to hunt down a 41 second gap to Makowiecki for the lead in class. As the traffic came into play, the #7 Audi got caught out into the final corner and was passed by the #18 Porsche for the lead of the race, handing the title back in favor of the #17 Porsche. However, the Audi team aboard the #7 car kept the Porsche drivers honest, with the gap in and around ten seconds of a long time. 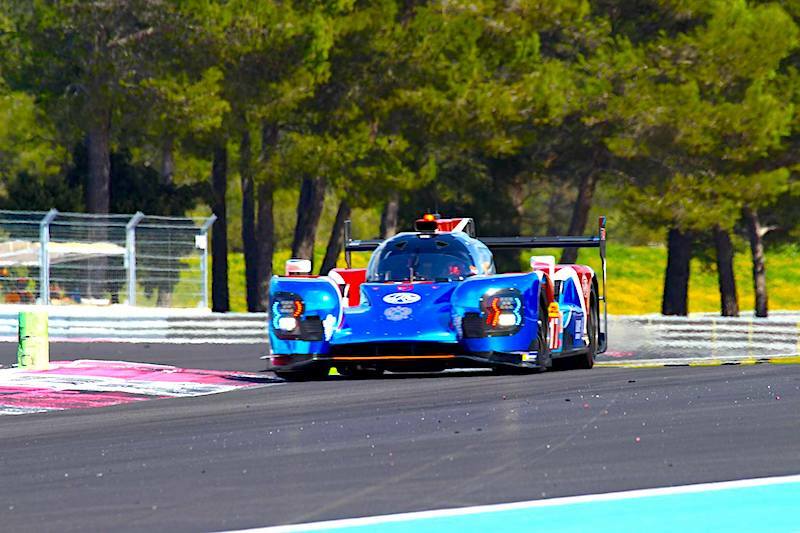 LMP2 was then to provide an element of deja vu when the rear suspension failed in an identical fashion to the #31 ESM earlier in the race, this time on the #30 ESM, with Scott Sharp at the wheel. The Strakka was text to spin at turn four with the recovering #8 Audi spins so close behind Oliver Jarvis was forced to spin in avoidance. Then it was time for racing at the head of the class in LMP2 as Sam Bird closed down and passed Richard Bradley’s KCMG for the lead of the class into the final corner. However, Bradley fought back down the main straight and in to turn one and make it stick through the first three corners of the lap. 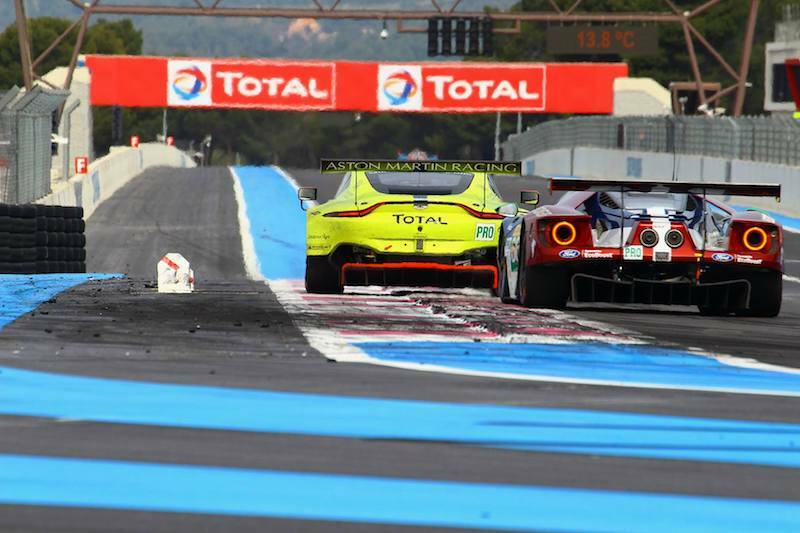 However, in an attempt to deffend the inside line into turn four, Brandley lost the back end on the dirty line of his KCMG, which allowed Sam Bird to nip back into the lead in his G-Drive Ligier. 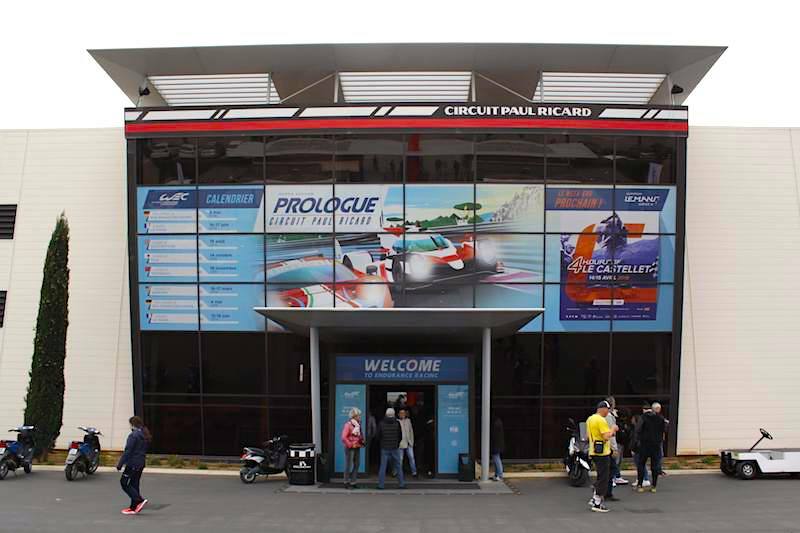 With 90 minutes to go, Andre Lotterer jumped into the #7 Audi in an attempt to close the gap to the leading Neel Jani to try and re gain a chance of winning the world championship. 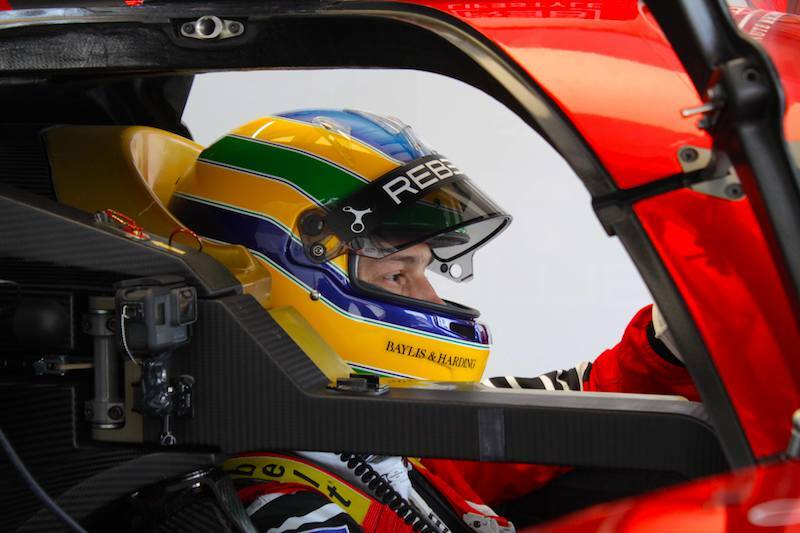 Jani however had other ideas and continued to respond to Lotterer’s times with a lap record time of 1:41.9. 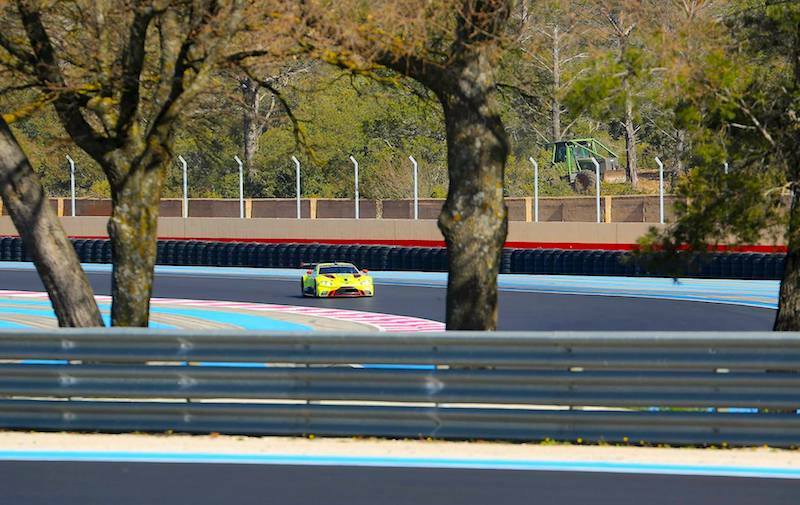 In the mean time, The ByKolles leader in the LMP1 privateer class went straight on at turn 1 and then preceded for the rest of the lap to drive slowly before pulling into the pits. As the clock ticked towards one hour to go, the battle in GTE-AM hotted up with just three seconds covering the top three in class. Pedro Lamy led the way in the #98 Aston Martin V8 Vantage ahead of Marco Mapelli in his Abu-Dhabi Proton Porsche in second, and Christain Reid in the sister Dempsey Porsche in third. 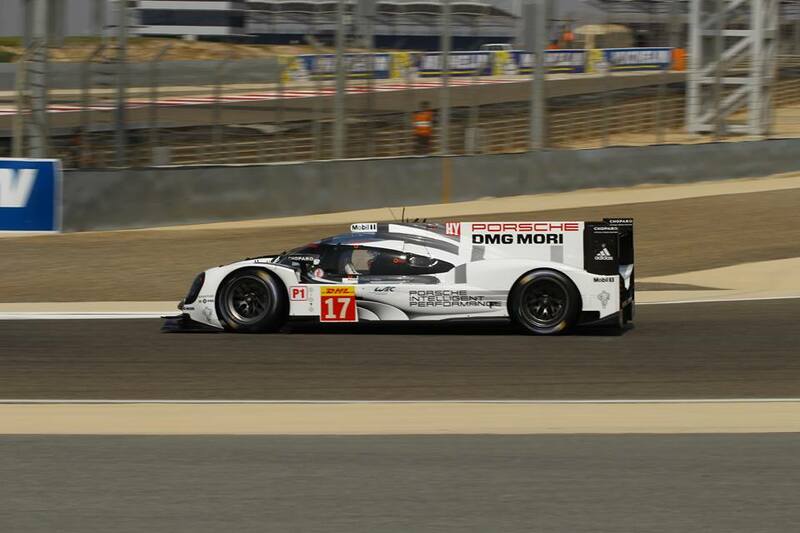 Drama hit the #17 crew again, this time with Mark Webber at the wheel. The 919 Hybrid trundled into the pits with no front end hybrid power which allowed the #8 Audi the chance to gain on the #17 car while the problem was addressed with the Porsche in the garage. The shift in fortune for the Porsche shifted the dimension at the head of the field. The #18 Porsche now had to win the race in order for the #17 to win the drivers’ championship. The drama continued for the #17 Porsche even after it was back on track. After getting slower an slower towards 20 seconds off the pace, with 47 minutes left on the clock, the car slowed suddenly. But forced a more lap out of the #17 Porsche before it headed back into the garage. 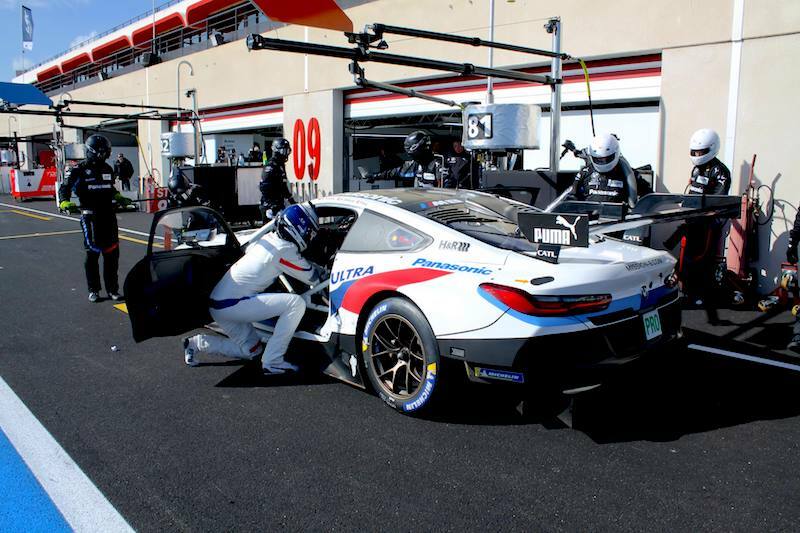 However, 15 minutes later Mark Webber seemed to have adapted to the problem in his 919 Hybrid putting the #17 drivers in the position of being favorites once again. In the final stops, the KCMG of Nick Tandy jumped back ahead due to a shorter stop. However with 14 minutes to go, Sam Bird’s hunt for Tandy came to an end as he took the lead at turn four. A scary moment ensued in the final pit stop for the #17 Porsche as it had to re start again. After a big pop and a bang the 919 Hybrid spluttered into power and continued on its way. Audi’s #8 car in the mean time had a 3 minute stop and go penalty for a tyre infringement to confirm it to not be Audi’s night in Bahrain. As they crossed the line Mark Webber nursed the #17 to the finish and despite the slow laps crossed the line to claim 5th place in the race and win the 2015 FIA World Endurance Championship for Mark Webber, Timo Bernhard and Brendon Hartley, thanks to a Porsche’s 6th win of the season. The #18 Porsche won the final race of the year, as it did in Brazil last year. A valiant Andre Lotterer, Marcel Fassler and Benoit Treluyer came home second, only just missing out on the championship. As for Toyota,they finished the year as they started it, in third place on the podium. Alexander Wurz making it to the podium in his final race as a professional racing driver. The #1 Toyota came home in fourth position overall. 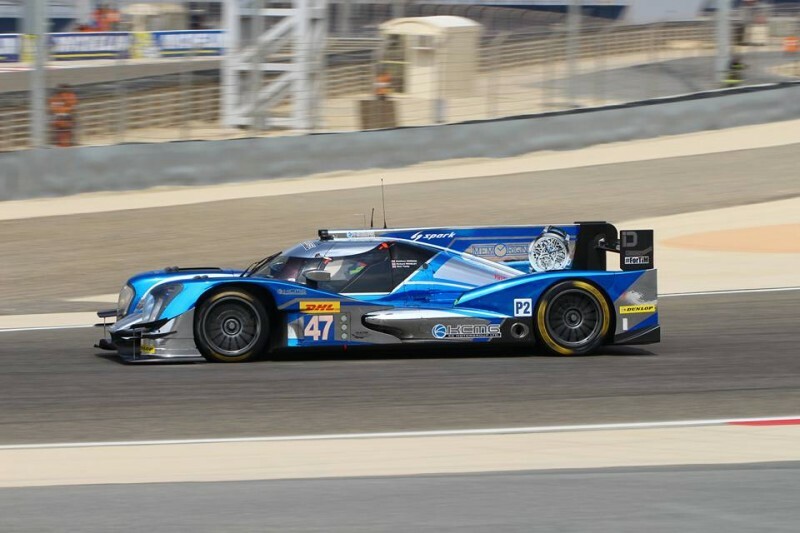 The privateer LMP1 championship went Nicolas Prost and Mathias Beche while the #4 crew at Rebellion came home second. 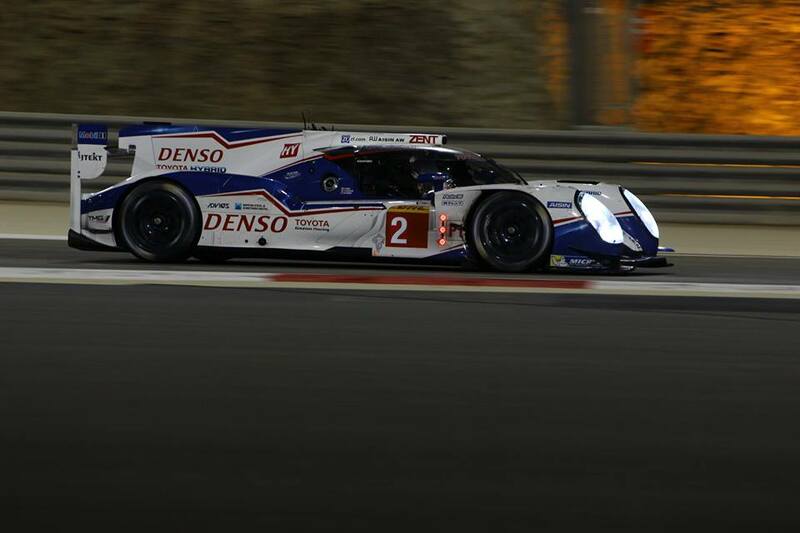 All three cars finished the race with the #12 car finishing in third position. 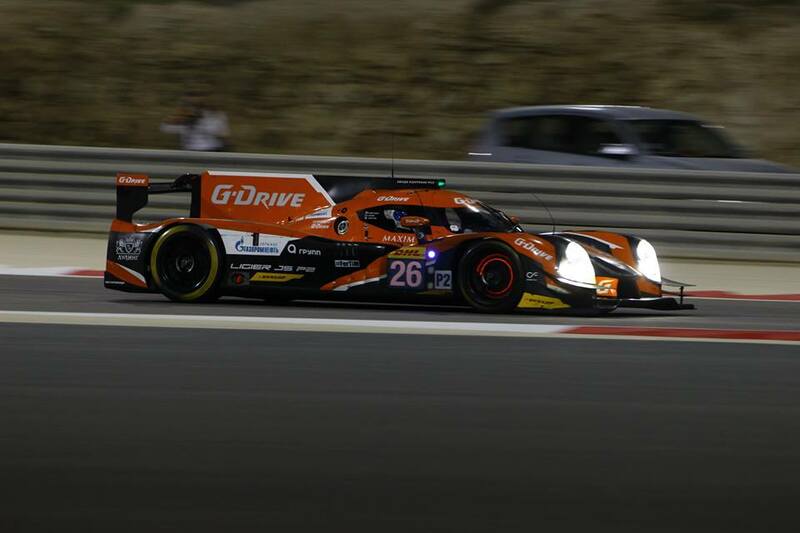 LMP2 saw the #26 G-Drive crew of Sam Bird, Romain Rusinov and Julien Canal win the race and the world championship for LMP2 drivers’ ahead of Nick Tandy, Matthew Howson and Richard Bradley for KCMG in second place. 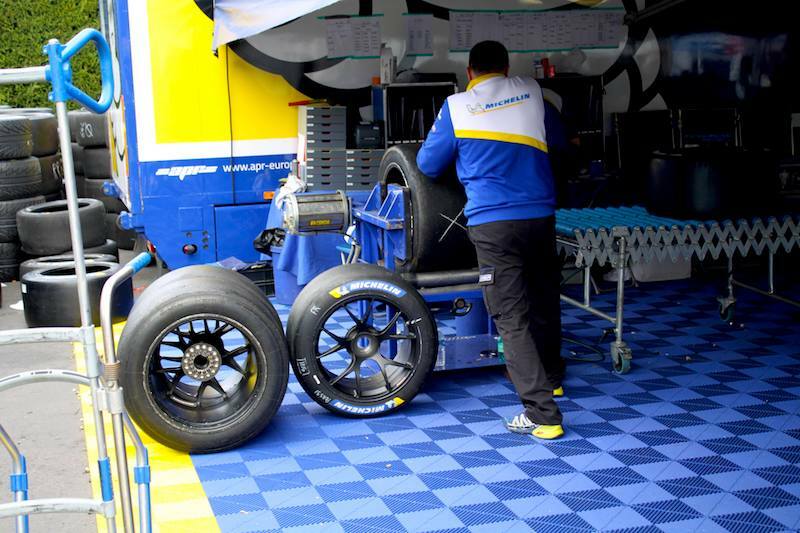 Third in the race went to the #28 G-Drive sister car after a great season for the young team. 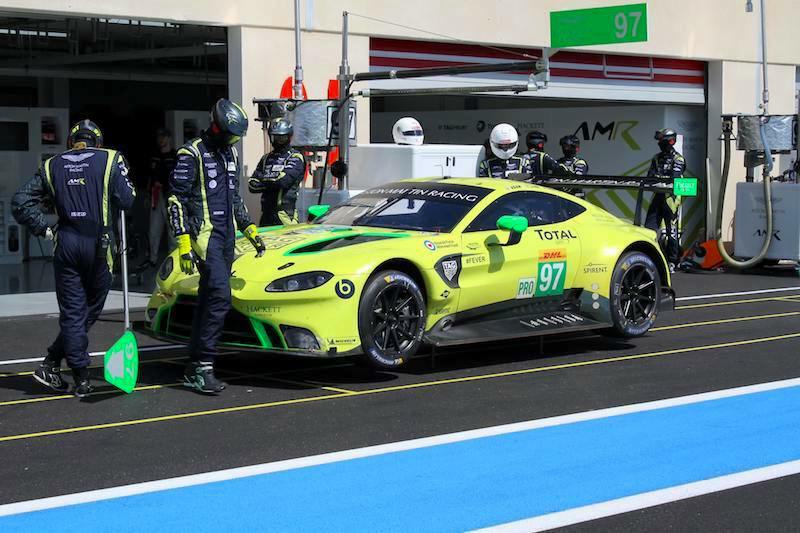 For the first time in the FIA WEC history, the GTE-PRO drivers’ champion was not Gianmaria Bruni. Richard Lietz won the championship on his own as Porsche team Manthey took the teams title. 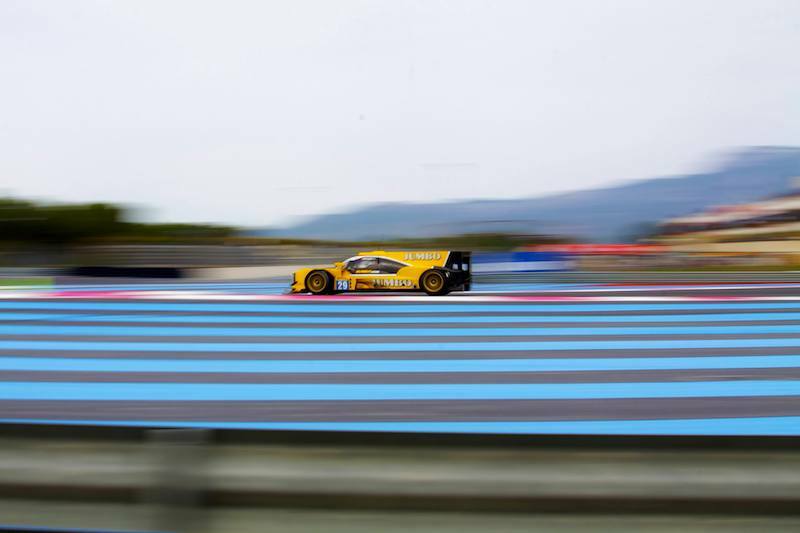 Fredrick Makowiecki won the race with Patrick Pilet for Porsche ahead of the outgoing champions, Toni Vilander and Gianmaria Bruni in the AF Corse Ferrari 458 Italia for the final time. Darren Turner shared third place with Jonathan Adam who picked up his first WEC podium. 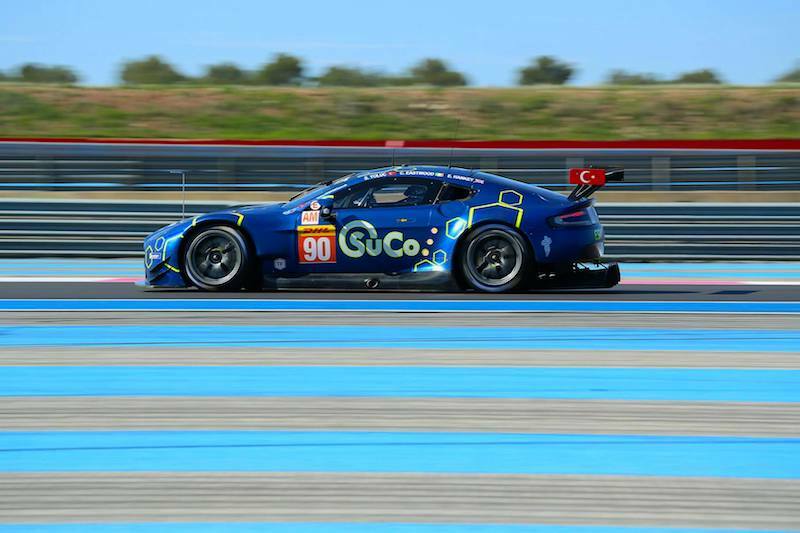 Aston Martin went two better in GTE-AM and won the race in the #98 Aston Martin of Dalla Lana, Lamy and Lauda. 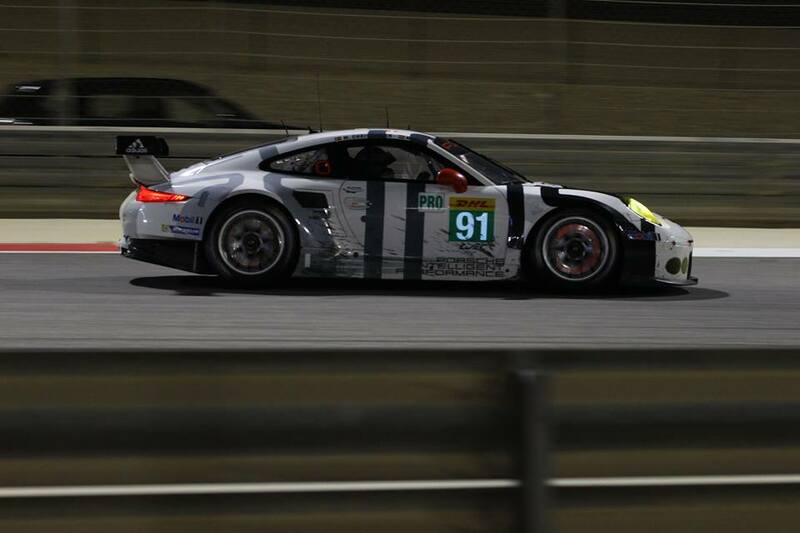 The #88 Porsche by Proton and Abu Dhabi came second in the race ahead of their sister #77 Dempsey Proton racing car. 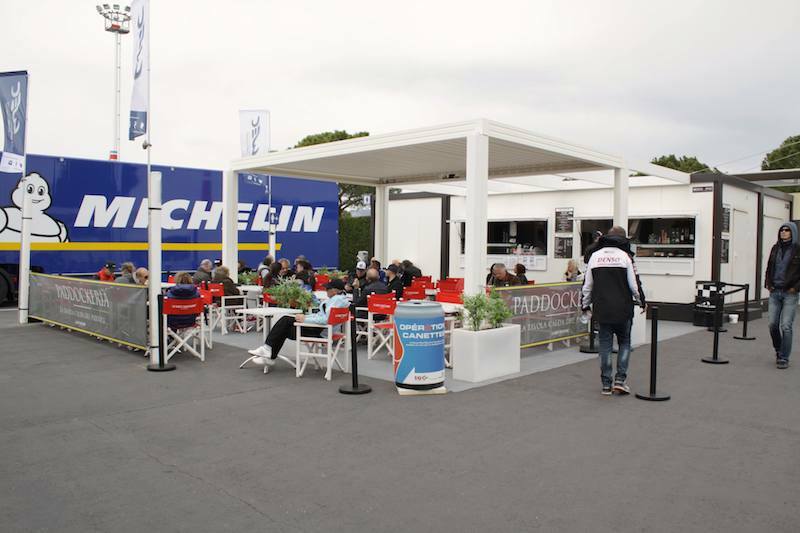 Aleksey Basov, Andrea Bertolini and Victor Shaytar won the GTE-AM world drivers’ championship. A season of imense tension and fantastic racing see’s Mark Webber, Brendon Hartley and Timo Bernhard crowned World Champions. What will happen next season? 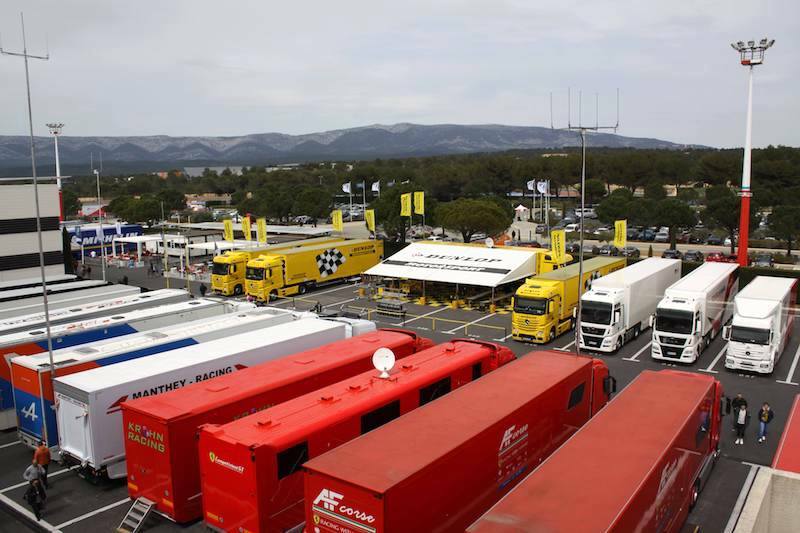 Meet us at Silverstone in April next year to find out. On a personal note, I’d like to thank David Tunnicliffe his contributions to the site, Walter Schruff for his photos and Tobias and Dominic Krause for the chance to write on the site. 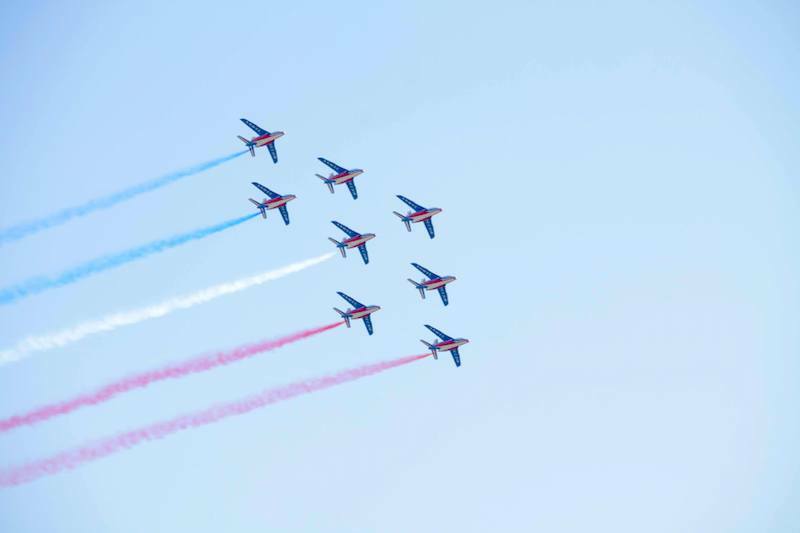 Not to mention all my readers for sharing this fantastic season with me, in this my 100th article for WEC-Magazin.com.